Colonial Revival. 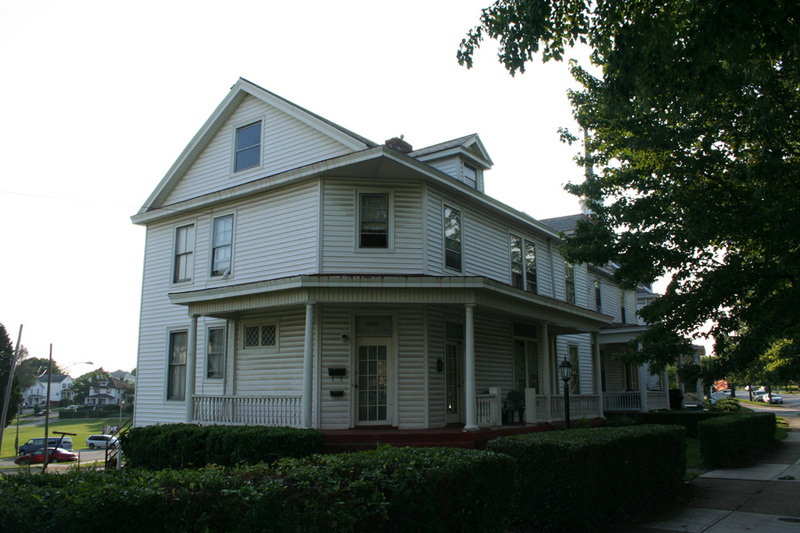 2 1/2-story, 4-bay gable-roofed frame house with pedimented gable ends and gable-roofed dormer on north facade. Entrances are located on north and northeast facades. Wraparound porch features narrow columns and turned balustrades. 2-story rear porch is recent addition. 1905-1979 Unknown 1979-1985 Missouri Chambers 1985-1991 Clayton A. Thomas 1991-2006 Mrs. A. B. Jones 2006-Present David W. Jones Sr.